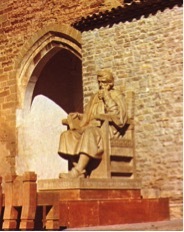 The Center for Philosophy, Religious, and Socinian Studies conducts research and outreach on behalf of the largely unrecognized Socinian movement, its forefather Michael Servetus, and their profound influence on the development of the Enlightenment and beyond, including the foundation of American government. Over time, the Center has grown to encompass more than the Socinian movement to address relevant subjects in the fields of philosophy, ethics, humanism, and religion. The Center has produced dozens of publications (articles and books) and serves as an internationally recognized authoritative resource in these areas. The major work of Michael Servetus, forefather of freedom of religion, and freedom of conscience, was translated for the first time in the Center from original Latin into English (five volumes). Prof. Marian Hillar, M.D., Ph.D.
Current project involves preparation of a monograph on the development of the Socinian movement in Europe and the United States and its effect of the formation of the American Constitution. Evaluation of commonalities in major world religions in order to build a consensus in public morals in a pluralistic society. Mrs. Clare Allen (Stettler), M.A. The Center conducts historical research in the areas of history of ideas, philosophy, and religions and attempts to build a consensus to provide an intellectual guidance to modern times. Research and publications of the Center are internationally recognized as being in the forefront of the scholarly efforts in the subject. The Center requires access to library sources and use of modern and classical languages. Modern Internet is an invaluable tool for access to such resources, as well as access to Fondren Library in Houston. Also several library resources in foreign countries at major universities were utilized for research. Socinians were members of the specific radical Reformation international religious group that was formed originally in Poland and in Transylvania in the XVIth century and went beyond the limited scope of the reform initiated by Luther or Calvin. At the roots of their religious doctrines was the Antitrinitarianism developed by Michael Servetus (1511-1553) and transplanted by Italian Humanists, as well as the social ideas borrowed initially from the Anabaptists and Moravian Brethren. About the middle of the XVIth century a variety of Antitrinitarian sects emerged. They called themselves Christians or Brethren, hence Polish Brethren, also Minor Reformed Church. Their opponents labeled them after the old heresies as Sabellians, Samosatinians, Ebionites, Unitarians, and finally Arians. They were also known abroad as Socinians, after the Italian Faustus Socinus (1539-1604) (Fausto Sozzini, nephew of Lelio Sozzini) who at the end of the XVIth century became a prominent figure in the Raków Unitarian congregation for systematizing the doctrines of the Polish Brethren. Although the spirit of religious liberty was one of the elements of the Socinian doctrine, the persecution and coercion they met as a result of the Counter Reformation led them to formulate the most advanced ideas in the realm of human freedom and church-state relations.The intellectual ferment Socinian ideas produced in all of Europe determined the future philosophical trends and led directly to the development of Enlightenment. The precursor ideas of the Polish Brethren on religious freedom were later expanded, perfected and popularized by John Locke (1632-1704) in England , Pierre Bayle (1647-1706) in France and Holland, and Baruch Spinoza (1632-1677) in Holland. The ideas of John Locke were transplanted directly to the American continent by James Madison and Thomas Jefferson who implemented them for the first time in the American legislation. The Polish Brethren were forerunners of the later thinkers who developed the ideas of the Enlightenment and introduced modern humanistic ideals. Their achievements are the highest in Europe of their times and originated all modern trends in political, social and moral sciences, in biblical and religious studies, and in concepts of the absolute freedom of intellectual inquiry, liberty of conscience and complete nonantagonistic separation of church and state. They put to practice the highest ethical ideals.The doctrines of the Polish Brethren represented a humanistic reaction to a medieval theology based on submission to the Church’s totalitarian authority. Though they retained the scripture as something supra rationem, they analyzed it rationally and believed that nothing should be accepted contra rationem. Their social and political thought underwent a significant evolutionary process from the very utopian trend condemning participation in war and holding public and judicial office to a moderate and realistic stand based on mutual love, support of the secular power of the state, active participation in social and political life, and defense of social equality. They spoke out against the enserfment of peasants, a recurring issue in Poland not solved until the XXth century. They were the first to postulate the complete separation of church and state, an idea never before discussed in Christian societies. Their spirit of absolute religious freedom expressed in their practice and writings, “determined, more or less immediately, all the subsequent revolutions in favor of religious liberty.” Their rationality set the trend for the philosophical ideas of the Enlightenment and determined future development of all modern intellectual endeavors. After expulsion they were forced into oblivion for three centuries, forgotten in a country that continued to be dominated by the Catholic Church. The intellectual ferment Socinian ideas produced in all of Europe determined the future philosophical trends and led directly to the development of Enlightenment. The precursor ideas of the Polish Brethren on religious freedom were later expanded, perfected and popularized by John Locke (1632-1704) in England and Pierre Bayle (1647-1706) in France and Holland. The ideas of John Locke were transplanted directly to the American continent by Thomas Payne, James Madison, Thomas Jefferson, and others and were implemented them for the first time in the American legislation. The project of studies involves: 1. Translation of the original works written by Michael Servetus from Latin into English; 2. Recovery of writings of the Socinians and spreading the information about their ideas; 3. Tracing the development of ideas which eventually led to the formation of American society and its Constitution with all its ideals and freedoms. Marian Hillar, Robert D. Finch, editors “Essays in the Philosophy of Humanism,” Vol. 14, pp. 90. American Humanist Association, 2006. Marian Hillar, Robert D. Finch, editors “Essays in the Philosophy of Humanism,” Vol. 15, pp. 160. American Humanist Association, 2007. Marian Hillar, Robert D. Finch, editors “Essays in the Philosophy of Humanism,” Vol. 16 (1) Spring-Summer, pp. 96. American Humanist Association, Washington, DC, 2008. Marian Hillar, Robert D. Finch, editors “Essays in the Philosophy of Humanism,” Vol. 16 (2) Fall-Winter, pp. 120. American Humanist Association, Washington, DC, 2008. Marian Hillar, Robert D. Finch, editors “Essays in the Philosophy of Humanism,” Vol. 17 (1) Spring-Summer, pp. 112. American Humanist Association, Washington, DC, 2009. Marian Hillar, Robert D. Finch, editors “Essays in the Philosophy of Humanism,” Vol. 16 (2) Fall Winter, pp. 120. American Humanist Association, Washington, DC, 2008. Marian Hillar, Robert D. Finch, editors “Essays in the Philosophy of Humanism,” Vol. 17 (1) Spring-Summer, pp. 114. American Humanist Association, Washington, DC, 2009. Marian Hillar, Robert D. Finch, editors “Essays in the Philosophy of Humanism,” Vol. 17 (2) Fall-Winter, pp. 130. American Humanist Association, Washington, DC, 2009. Marian Hillar, Robert D. Finch, editors “Essays in the Philosophy of Humanism,” Vol. 18 (1) Spring-Summer, pp. 96. American Humanist Association, Washington, DC, 2010. Marian Hillar, Robert D. Finch, editors “Essays in the Philosophy of Humanism,” Vol. 18 (2) Fall-Winter pp. 108. American Humanist Association, Washington, DC, 2010. Marian Hillar, and Christopher A. Hoffman, translators: “Thirty Letters to Calvin & Sixty Signs of the Antichrist by Michael Servetus.” Translated from Christianismi restitutio by Christopher A. Hoffman and Marian Hillar (Lewiston, NY; Queenston, Ont., Canada; Lampeter, Wales, UK: The Edwin Mellen Press, 2010). Pp. 175 + lxxxvi. Juan Naya and Marian Hillar, eds., “Michael Servetus, Heartfelt: Proceedings of the International Servetus Congress, Barcelona, 20-21 October, 2006,” (Lanham, MD and Plymouth UK: University Press of America, 2011). 430 pp. Marian Hillar, Robert D. Finch, editors “Essays in the Philosophy of Humanism,” Vol. 19 (1) Spring-Summer, pp. 106. American Humanist Association, Washington, DC, 2011. Marian Hillar, Robert D. Finch, editors “Essays in the Philosophy of Humanism,” Vol. 19 (2) Fall-Winter, pp. 116. American Humanist Association, Washington, DC, 2011. Marian Hillar, founding editor, “Essays in the Philosophy of Humanism,” Vol. 20 (1) Spring-Summer, pp. 106. American Humanist Association, Washington, DC, 2012. Marian Hillar, founding editor “Essays in the Philosophy of Humanism,” Vol. 20 (2) Fall-Winter pp. 126. American Humanist Association, Washington, DC, 2012. Marian Hillar, Major study: From Logos to Trinity. The Evolution of Religious Beliefs from Pythagoras to Tertullian (Cambridge, UK, New York: Cambridge University Press, 2012), 320 pp. + xi. Marian Hillar, founding editor, “Essays in the Philosophy of Humanism,” Vol. 21 (1) Spring-Summer, pp. 120. American Humanist Association, Washington, DC; Equinox Sheffield, UK, 2013. Marian Hillar, founding editor “Essays in the Philosophy of Humanism,” Vol. 21 (2) Fall-Winter pp. 126. American Humanist Association, Washington DC; Equinox, Sheffield, UK, 2013. Marian Hillar, founding editor “Essays in the Philosophy of Humanism,” Vol. 22 (1) pp. 118. American Humanist Association, Washington, DC; Equinox, Sheffield, UK, 2014. Marian Hillar, founding editor “Essays in the Philosophy of Humanism,” Vol. 22 (2) pp. 120. American Humanist Association, Washington, DC; Equinox, Sheffield, UK, 2014. Marian Hillar, founding editor “Essays in the Philosophy of Humanism,” Vol. 23 (1) pp. 132. American Humanist Association, Washington, DC; Equinox, Sheffield, UK, 2015. Marian Hillar, founding editor “Essays in the Philosophy of Humanism,” Vol. 23 (2) pp. 128. American Humanist Association, Washington, DC; Equinox, Sheffield, UK, 2015.
by Michael Servetus. Translated from Christianismi restitutio by Marian Hillar and Christopher A. Hoffman (Lewiston, NY; Queenston, Ont., Canada; Lampeter, Wales, UK: The Edwin Mellen Press, 2015), 103 pp + lii. Marian Hillar, “The Historical Development Toward a Non-Theistic Humanistic Ethics: Essays from the Ancient Stoics to Modern Science.” (Lewiston, NY; Queenston, Ont., Canada; Lampeter, Wales, UK: The Edwin Mellen Press, 2015), 278 pp + lxii. Marian Hillar,.”Socinian Precursors of the American Constitutional Separation of Church and State. Part II : Socinian Ideas on the Separation of State and Religion.” In The American Unitarian, Vol. 5, No. 2, June 2006, pp. 60-74. Marian Hillar and Claire S. Stelter, translation from Polish of an article by Stanisław Cieniawa, “Let’s Learn Religion from … Flowers.” Published in Essays in thePhilosophy of Humanism, American humanist Association, Washington, D.C., Vol. 14, 2006, pp. 69-77. Marian Hillar, “Christianismi restitutio (Restitución del Cristianismo): el programa religioso de Miguel Servet,” in Miguel Servet. Luz entre tinieblas, ed. Sergio Baches Opi, (Huesca: Instituto de Estudios Sijenenses, 2006), pp. 45-68. Marian Hillar, “Christianismi restitutio (Restoration of Christianity): the religious program of Michael Servetus,” in Miguel Servet. Luz entre tinieblas, (Huesca: Instituto de Estudios Sijenenses, 2006), pp. 69-92. Marian Hillar, “El legado de Servet. El camino del reconocimiento de la libertad de conciencia como derecho natural y cambio de paradigma social: de Servet a Thomas Jefferson,” in Miguel Servet. Luz entre tinieblas, ed. Sergio Baches Opi, (Huesca: Instituto de Estudios Sijenenses, 2006), pp. 93-108. Marian Hillar, “The legacy of Servetus: Humanism and the beginning of change in the social paradigm: From Servetus to Thomas Jefferson, in Miguel Servet. Luz entre tinieblas, ed. Sergio Baches Opi, (Huesca: Instituto de Estudios Sijenenses, 2006), pp. 109-124. Marian Hillar, “Numenius and Greek Philosophical Sources of Christian Doctrine.” In Proceedings of the Twenty-First World Congress of Philosophy, Istanbul. August 10- 17, 2003, (Turkish Philosophical Society, Ankara, 2006), Vol. 8, pp. 55-60. Marian Hillar, “The Religious program of Michael Servetus in His major Work, Christianismi restitutio (The Rstoration of Christianity).” Journal from the Radical Reformation. Testimony to Biblical Unitarianism, Vol. 13, No. 2. Fall, 2006. pp. 2-19. Marian Hillar, “Servetus and the Switch to the Humanistic Social Paradigm. An Historical Perspective on How the Social Paradigm Changes.” In Essays in the Philosophy of Humanism, eds. Robert D. Finch, Marian Hillar, American Humanist Association, Houston, Vol. 15, 2007, pp. 91-116. Marian Hillar, “Friedrich Nietzsche: The Genealogy of Morals. The First Essay. ‘Good and Evil,’ ‘Good and Bad’ and the Critique of the Christian Ethics.” In Houston Freethought Alliance Newsletter, Issue 92, July 2007, pp. 3-7. Marian Hillar, “Numenius and the Hellenistic Sources of the Central Christian Doctrine” in A Journal from the Radical Reformation. A testimony to Biblical Unitarianism. Vol. 14, No. 1, Spring 2007, pp. 3-31. Marian Hillar, “Friedrich Nietzsche: The Genealogy of Morals. The Second Essay. ‘Guilt,’ ‘Bad Conscience,’ and Related Matters.” In Houston Freethought Alliance Newsletter, Issue 94, August 2007, pp. 3-5. Marian Hillar, “Friedrich Nietzsche: The Genealogy of Morals. The Third Essay: ‘What Do Ascetic Ideals Mean?’ (1) The Ascetic Ideal in Art. (2) The Philosopher’s Ascetic Ideal.” In Houston Freethought Alliance Newsletter, Issue 95, September 2007, pp. 5-7. Marian Hillar, “Friedrich Nietzsche: The Genealogy of Morals. The Third Essay: “What Do Ascetic Ideals Mean?” (3) The Priest and His Ascetic Ideal (4) The Human Condition and the Function of Ascetic Priests. In Houston Forethought Alliance Newsletter, Issue 96, October 2007, p. 5. Marian Hillar, “Friedrich Nietzsche: The Genealogy of Morals. The Third Essay: “What Do Ascetic Ideals Mean?” (5) Mechanisms of Alleviating Depression and Corruption of Mental health (6) What Does the Ascetic Ideal Signify? Its Implications for Atheism. In Houston Freethought Alliance Newsletter, Issue 97, November 2007, pp. 4-6. Marian Hillar, “Process Theology and Process thought in the Writings of Michael Servetus” in A Journal from the Radical Reformation. A testimony to Biblical Unitarianism. Vol. 14, No. 2, Fall 2007, pp. 31-38. Marian Hillar, book review of “Socinianism and Arminianism. Antitrinitarians, Calvinists and Cultural Exchange in Seventeenth-Century Europe” Martin Mulsow and Jan Rohls, eds. (Leiden, Boston: Brill, 2005, ix + 306 pp.). In Houston Forethought Alliance Newsletter, Issue 98, December, 2008, pp. 6-7. Marian Hillar, “Moral Philosophy and Modern Science. Modern Science provides a Biological basis for Human Behavior and Validates Philosophical Speculation.” In Houston Freethought Alliance Newsletter, Issue 99, January, 2008, pp. 5-6. Marian Hillar, “Humanist Ethics. A Global Ethics.” In Houston Freethought Alliance Newsletter, Issue 100, February 2008, pp. 5-6. Marian Hillar, “The Stoic Ethics: Natural Development, Rationality, and Responsibility.” (1) Myth and Philosophy. In Houston Freethought Alliance Newsletter, Issue 101, February 2008, pp. 5-6. Marian Hillar, “Friedrich Nietzsche: Social Origin of Morals, Christian Ethics, and Implications for Atheism in His The Genealogy of Morals,” published in the Essays in the Philosophy of Humanism, Vol. 16 (1), 2008, pp. 71-96. Marian Hillar, “The Stoic Ethics: Natural Development, Rationality, and Responsibility. 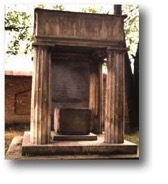 (2) Fundamentals of Stoic Ethics.” In Houston Freethought Alliance Newsletter, Issue 102, March, 2008, pp. 5-6. Marian Hillar, “The Stoic Ethics: Natural Development, Rationality, and Responsibility. (3) Development of the Concept of Values.” Published in the Houston Freethought Alliance Newsletter, issue 103, May 2008, pp. 6-8. Marian Hillar, “The Stoic Ethics: Natural Development, Rationality, and Responsibility. (4) Development of Virtue, the Paradigm of the Sage, and Philosophical determinism.” Published in the Houston Freethought Alliance Newsletter, issue 104, June 2008, pp. 5-7. Marian Hillar, “The Stoic Ethics: Natural Development, Rationality, and Responsibility. (5) Moral Responsibility.” Published in the Houston Freethought Alliance Newsletter, issue 105, July, 2008, pp. 6-9. Marian Hillar, “The Stoic Ethics: Natural Development, Rationality, and Responsibility. (6) Rational Assent. Impact of the Stoic Ethical Theory. Similarity with the Indian Thought. Confirmation by Modern Science.” Published in the Houston Freethought Alliance Newsletter, issue 106, August, 2008, pp. 3-5. Marian Hillar, “Roots of Humanist Ethics: A Historical perspective. Kant’s Moral Philosophy and its Reinterpretation. A Quintessential Humanistic Doctrine” (1). Published in the Houston Freethought Alliance Newsletter, issue 107, September, 2008, pp. 3-4. Marian Hillar, “Roots of Humanist Ethics: A Historical perspective. Kant’s Moral Philosophy and its Reinterpretation. A Quintessential Humanistic Doctrine” (2). Published in the Houston Freethought Alliance Newsletter, issue 108, October, 2008, pp. 3-5. Marian Hillar, “Roots of Humanist Ethics: A Historical perspective. Kant’s Moral Philosophy and its Reinterpretation. A Quintessential Humanistic Doctrine” (3). Published in the Houston Freethought Alliance Newsletter, issue 109, November, 2008, pp. 3-5. Marian Hillar, “Roots of Humanist Ethics: A Historical perspective. Kant’s Moral Philosophy and its Reinterpretation. A Quintessential Humanistic Doctrine” (4). Published in the Houston Freethought Alliance Newsletter, issue 110, December, 2008, pp. 3-5. Marian Hillar, Roots of Humanist Ethics: A Historical Perspective. Jürgen Habermas: A Practical Sense Sociologist and a Kantian Moralist in a Nutshell (1). Published in the Houston Freethought Alliance Newsletter, issue 111, January 2009, pp. 3-4. Marian Hillar, Roots of Humanist Ethics: A Historical Perspective. Jürgen Habermas: A Practical Sense Sociologist and a Kantian Moralist in a Nutshell (2). Published in the Houston Freethought Alliance Newsletter, issue 112, February 2009, pp. 3-4. Marian Hillar, Roots of Humanist Ethics: A Historical Perspective. Jürgen Habermas: A Practical Sense Sociologist and a Kantian Moralist in a Nutshell (3). Published in the Houston Freethought Alliance Newsletter, issue 113, March 2009, pp. 3-4. Marian Hillar, Roots of Humanist Ethics: A Historical Perspective. Jürgen Habermas: A Practical Sense Sociologist and a Kantian Moralist in a Nutshell (4). Published in the Houston Freethought Alliance Newsletter, issue 114, April 2009, pp. 3-4. Marian Hillar, Roots of Humanist Ethics: A Historical Perspective. Jürgen Habermas: A Practical Sense Sociologist and a Kantian Moralist in a Nutshell (5). Published in the Houston Freethought Alliance Newsletter, issue 115, May 2009, pp. 3-4. Marian Hillar, Roots of Humanist Ethics: A Historical Perspective. Jürgen Habermas: A Practical Sense Sociologist and a Kantian Moralist in a Nutshell (6). Published in the Houston Freethought Alliance Newsletter, issue 116, June 2009, pp. 3-5. Marian Hillar, Roots of Humanist Ethics: A Historical Perspective. Jürgen Habermas: A Practical Sense Sociologist and a Kantian Moralist in a Nutshell (7). Published in theHouston Freethought Alliance Newsletter, issue 117, July 2009, pp. 3-4. Marian Hillar, Foundation of Kant’s Moral Philosophy and its Reinterpretation: A Quintessentail Humanisstic Doctrine, published in the Essays in the Philosophy of Humanism, Vol. 17 (1), Spring-Summer 2009, pp. 71-90. Marian Hillar, Roots of Humanist Ethics: A Historical Perspective. Benedict Spinoza and His Revival of Naturalistic Ethics (1). Published in Houston Freethought Alliance Newsletter, issue 119, October 2009, pp. 3-4. Marian Hillar, “Discovery of a New Species of Human Ancestors: Ardipithicus Ramidus,” Published in Houston Freethought Alliance Newsletter, issue 120, November 2009, pp. 4-5. Marian Hillar, “The Polish Socinians: Contribution to Freedom of Conscience and the American Constitution,” in Dialogue and Universalism, Vol. XIX, No. 3-5, 2009. Marian Hillar, “Roots of Humanist Ethics: A Historical Perspective. Benedict Spinoza and His Revival of Naturalistic Ethics” (3). Published in Houston Freethought Alliance Newsletter, issue 122, January 2010, pp. 6-7. Marian Hillar, “Roots of Humanist Ethics: A Historical Perspective. Benedict Spinoza and His Revival of Naturalistic Ethics” (4). Published in Houston Freethought Alliance Newsletter, issue 125, April 2010, pp. 6-7. Marian Hillar, book review of Rodrigue Tremblay, The Code for Global Ethics. Ten Humanist Principles. Preface by Paul Kurtz (Amherst, NY: Prometheus Books, 2010). Published in Houston Freethought Alliance Newsletter, issue 126, May 2010, pp. 10-12. Marian Hillar, “What Does Modern Science Say about the Origin of Cooperation? Science Confirms Philosophy.” Published in Houston Freethought Alliance Newsletter, issue 127, June 2010, pp. 3-7. Marian Hillar, “What Does Modern Science Say about the Origin of Cooperation? Science Confirms Philosophy.” Published in the Essays in the Philosophy of Humanism, Vol. 18 (2), Fall – Winter 2010, pp. 43-52. Marian Hillar, “Why the Memory of Servetus Should be Kept Alive: A Historical Perspective,” a chapter in the book: Juan Naya and Marian Hillar, eds., “MichaelServetus, Heartfelt: Proceedings of the International Servetus Congress, Barcelona, 20-21 October, 2006,” (Lanham, MD and Plymouth UK: University Press of America, 2011). pp. 267-298. Marian Hillar, ”Jürgen Habermas: A Practical Sense Sociologist and a Kantian Moralist in a Nutshell.” Published in the Essays in the Philosophy of Humanism, Vol. 19 (2), Fall –Winter 2011, pp. 1-26. Marian Hillar, “Lelio et Faust Socin: fondateurs du socinianisme, leurs vies et théologie,” traduit en français par Christian Callas. Published in Cahiers Michel Servet, No. 16, février 2012, pp. 1-26. Marian Hillar, “Dziedzictwo Braci Polskich. Rozdział Religii od Państwa i Wolność Sumnienia.” (“The Legacy of the Polish Brethren. Separation of Religion and State and Freedom of Conscience.”) Published in Gazeta AMG, a monthly of the Medical University of Gdańsk, Vol. 22, July, 2012, No. 7 (259), pp. 34-38. Marian Hillar, “Philo’s Logos Doctrine. Bridging the two Cultures and Creating the Philosophical and Theological Foundations of Christianity,” in Dialogue and Universalism Vol. XXI, (4) 2012, pp. 59-90. Marian Hillar, “What Does Modern Science Say about the Origin of Religion?” in in Dialogue and Universalism Vol. Vol. XXII (4) 2012, pp. 111-120. Marian Hillar, “Creationism and Evolution. Misconceptions about Religion and Science.” in Dialogue and Universalism Vol. XXII (4) 2012, pp. 133-160. Marian Hillar, “Servet y el nuevo paradigma histórico” Chapter in a book :“Miguel Servet. Los valores de un hereje,” Heraldo de Aragón, 2013, pp. 100-102. Marian Hillar, “What Does Modern Science Say about the Origin of Cooperation? 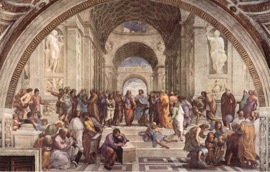 Science Confirms Philosophy” in Dialogue and Universalism, Vol. XXIII (3) 2013, pp. 23-34. Marian Hillar, “Dziedzictwo Serveta” (“Legacy of Servetus”), published in Pistis, wrzesień (September) 2011, pp. 27-31. This is a translation (by Rafał Sajna) into Polish of “The Legacy of Servetus: Humanism and the Beginning of Change in the Social Paradigm. On the Occasion of the 450th Anniversary of His Martyrdom.” In A Journal from the Radical Reformation. A Testimony to Biblical Unitarianism. Vo. 11, No. 2, Winter 2003, pp. 34-41. Marian Hillar, “Philo on Evil.” An article for the Encyclopedia of Evil. Scheduled for publication in June 2016. “Hellenistic Sources of Post-Nicene Christianity.” Paper read at the 4th Annual Hawaii International Conference on Arts and Humanities, Honolulu, Hawaii, January 11 – 14, 2006. “Jesus after 2000 Years – Question of Historicity of Jesus.” Seminar of the Ideas Club, Humanists of Houston, February 26, 2006. “Freedom of Conscience and Michael Servetus: The beginning of change of the Social Paradigm.” Paper read at the meeting of the South-Central Renaissance Conference, St. Thomas University, Houston, TX, March 9-11, 2006. “The Existence of God and Atheism.” Seminar for the Humanists of Houston, July 15, 2006. “¿Porqué hay que mantener viva la memoria de Servet?” Seminar presented at the International Servetus Congress, Barcelona, Spain, October 20-21, 2006.
Review of the book by Richard Dawkins “The God Delusion,” Ideas Club. Houston, January 21, 2007.
Review of the book by Richard Dawkins “The God Delusion,” Science and Religion Discussion, Melanchthon Institute, Houston, Texas, February 16, 2007. Seminar “The First Translation into English of the First Part of Christianismi restitutio of Michael Servetus and Evaluation of its Theology.” South-Central Renaissance Conference, San Antonio, Texas, March 8-10, 2007. Paper read at the International Meeting of the Society of Biblical Literature, “The First Translation of the First Part of Christianismi restitutio of Michael Servetus and the Evaluation of its Biblical Theology.” Vienna, July 22-27, 2007, pp. 25-33. Seminar for the Ideas Club, Humanists of Houston, “Does Modern Science Invalidate Philosophy? Modern Science and Ethics.” Ideas Club of Humanists of Houston, September 23, 2007. Seminar for Religion, Ethics, and Society Club, “Psychology of Atheism According to Nietzsche’s Third Essay in Genealogy of Morals,” Houston, November 24, 2007. Seminar for Science and Religion Discussion Group, “Habermas on Society and Religion,” Christ the King Lutheran Church, Houston, TX January 18, 2008. Seminar presented for Science and Religion Discussion Group, “Modern Science and Ethics. Part I, Philosophical Ethical Inquiry,” Christ the King Lutheran Church, Houston, TX November 14, 2008. Paper “Natural Moral Law and the Modern Evolutionary Science. Reinterpretation of the Natural Law and Moral PHILOSOPHY.” Presented at the 7th Annual Hawaii International Conference on Arts and Humanities, Honolulu, Hawaii, January 9 – 12, 2009. Seminar for Research Week, Texas Southern University, “What Does Modern Science Say about the Origin of Human Morality?” Houston, TX April 3, 2009. Seminar presented for Science and Religion Discussion Group: “How a Religious Belief Led to the Discovery of the Pulmonary Blood Circulation.” Christ the King Lutheran Church, Houston, April 17, 2009. Seminar presented for the Humanists of Houston: “Michael Servetus (1511-1553): Theologian, Philosopher, Scientist, and Humanist.” Houston, May 15, 2009. Seminar presented for the Science and Religion Discussion Group: “Conflict between Science and Religion.” Christ the King Lutheran Church, Houston, October 16, 2009. Seminar for Religion, Ethics and Society Club, “Review of the Book by Sanford Rives, ‘Did Calvin Murder Servetus?,’” Houston, November 28, 2009. Seminar for the Essays in the Philosophy of Humanism Symposium, “Moral Philosophy and Religion Facing Science. Humanistic Synthesis.” Presented at 69th Annual Conference of the American Humanist Association, San Jose CA, June 4-6, 2010. Conference with the Editors and Contributors to Dialogue and Universalism, an international philosophical Journal published in Warsaw, “Polish Brethren (Socinians) and Their Role in the European History,” Warsaw July 22, 2010. Lecture: “Michael Servetus: Intellectual Giant, Humanist, and Martyr,” lecture for the Thoreau Woods Unitarian Universalist Church, Huntsville, TX, September 19, 2010. Seminar for Science and Religion Discussion Group: “What Does Modern Science Say about the Origin of Cooperation?” Christ the King Lutheran Church, Houston Texas, October 15, 2010. Seminar for TSU Interdisciplinary Research Conference: “Regulation and Control in Biological Systems and Beyond …” Texas Southern University, November 4, 2010. Paper “Natural Foundation of Moral Philosophy,” Presented at the 9th Annual Hawaii International Conference on Arts and Humanities, Honolulu, Hawaii, January 9 – 12, 2011. Seminar for Open House, Physics Department at Texas Southern University, “Biological Effects of Radiation,” Houston, March 30, 2011. Seminar “Natural Moral law and Modern Evolutionary Science. Reinterpretation of the Natural Law,” presented for Essays in the Philosophy of Humanism Symposium, American Humanist Association, Cambridge, MA, April 7-10, 2011. Seminar “What Unitarian Universalists Should Know about Socinians?” Presented for the Emerson Unitarian Church, Houston, June 26, 2011. Seminar for the Ideas Club, Humanists of Houston, “From the Polish Brethren or Socinians to Liberal Religion or How the Modernity was Introduced into the Western World?” August, 28, 2011. The Keynote speaker at the Conference “The Western Heritage of Humanism, Skepticisn, and Freethought. Toward a Reasonable World.” Organized by the Department of Religious Studies at the San Diego University and the Institute for the Study of American Religion. San Diego, September 16-18, 2011. Seminar for Science, Religion Discussion Group, Christ the King Lutheran Church, “Evolution of the Messianic Expectations in the Hebrew Culture: Hebrew Bible, the Writings of the Dead Sea Scrolls, the Pseudoepigrapha,” Houston, November 18, 2011. Seminar for Radiation Safety Training Workshop, “Biological Effects of Radiation,” Texas Southern University, Houston, November 18, 2011. Seminar for the Science and Religion Discussion Group, Christ the King Lutheran Church, “Philo of Alexandria: Bridging the Hebrew Religion with the Greek Philosophy and Religion,” Houston, May 18, 2012. Seminar for Polish Philosophical Society, Editorial Board of “Dialogue and Universalism,” and Institute of Philosophy and Social Sciences of the Polish Academy of Sciences, “Rozwój Hellenistyczno-Judeo-Chrześcijańskich Wierzeń Religijnych od Pitagorasa do Tertuliana,” (“Evolution of the Hellenistic, Judaic, and Christian religious Beliefs from Pythagoras to Tertullian”) Warsaw, May 29, 2012. Seminar for the Editorial Board of “Dialogue and Universalism,” “Dziedzictwo Braci Polskich: Rozdział Religii od Państwa i Wolność Sumienia,” (“The Legacy of the Polish Brethren: Separation of Religion from State and Freedom of Conscience”) Warsaw, June 2, 2012. Seminar for Religion, Ethics and Society Club, “Naturalistic Spirituality: Beauty of Our Earth and Wisdom of Sages Houston, August 25, 2012. Seminar for Radiation Safety Training Workshop, “Biological Effects of Radiation,” Texas Southern University, Houston, October 26, 2012. Seminar for Religion, Ethics and Society Club, “Does Archaeology Prove the Existence of Jesus? An Alternative Explanation.” Houston, October 27, 2012. Seminar for College of Science and Technology, Texas Southern University, Houston: “Creationism and Evolution: Misconceptions about Science and Religion.” Houston, December 3, 2012. Seminar for the Science and Religion Discussion Group, Christ the King Lutheran Church, /> “From the Polish Socinians to the American Constitution. A Study in Freedom of /> Conscience.” Houston, January 18, 2013. Paper, “The Stoic logic and Egyptian divine metaphysics as the sources of the />Tertullian doctrine of the Trinity.” Presented at the XXIII World Congress of Philosophy, Athens, Greece, August 4-10, 2013. Seminar for Science and religion Discussion Group, Christ the King Lutheran Church, Houston, September 20, 2013. “Does Archaeology Prove the Existence of Jesus? An Alternative Explanation.” Houston, September 20, 2013. Presentation : “Turkish Language School at the Fatih University, Istanbul,” for the Raindrop Turkish Center, Houston, August 19, 2013. Presentation : “Reading Poetry for the World Poetry Day,” poems by Pablo Neruda, Charles Baudelaire, Haether Dolohau, and Orhan Veli Kanik. For the Raindrop Turkish Center, Houston, April 10, 2014. Presentation : “Photosynthesis: Its Discovery and How Does it Work?” Presentation for the Science and Religion Discussion Group, Christ the King Lutheran Church, Houston, April, 21, 2014. Seminar : “How to Think about Religion, Science and Ethics. From Antiquity to Modernity.” Presented for Ideas Club, Houston, July 27, 2014. Seminar : “What Does Modern Science Say about the Origin of Human Moral Behavior? Science Confirms Philosophy.” Research Week, Texas Southern University, Houston, April 2, 2015. Seminar for Humanists of Houston: “How the Struggle for Freedom of Conscience and Separation of State and Religion was Won in the West. A Study in the History of Freedom of Conscience.” Houston, September 18, 2015. Seminar for Ideas Club, Humanists of Houston: “Science and Morality”, Houston, November 14, 2015. Paper “Modern Science Explains Natural Moral Law Postulated by Philosophers.” Presented at the 14th Annual Hawaii International Conference on Arts and Humanities, Honolulu, Hawaii, January 9 – 12, 2016. Presentation “The Role of the Polish Socinians for the Development of American Constitution and Democracy” given for The Polish Institute of History, Polish Academy of Science, Warsaw, February 22, 2016. The Center offers opportunity for students in Humanities at Texas Southern University to engage in research leading to their M.A. and /or Ph.D. thesis/dissertation. We solicit participation of interested students for research in the areas of interest to the Center as well as we invite other faculties at Texas Southern University for a collaborative work.